Montana Whitewater Rentals – Check out our private Riverside Rentals. Canyon Cabins –Cabin Rentals in Gallatin Gateway. Mountain Meadows –Breathtaking rentals in Big Sky. Diamond Heart Guest Ranch — 3 miles from Chico Hotsprings! Old Chico Cottage — Newly Renovated 3+ Bedroom House Near Chico Hotsprings! Riverside Cottages — Cute Cabins right next door to us in Gardiner! Stermitz Ranch — Vacation Rentals in the Mountains near Yellowstone! KOA Livingston — Camping facilities near the Livingston. KOA West Yellowstone –Great Camping facilities near the West Entrance to Yellowstone National Park. Apex Management – Vacation Rentals–Lovely houses in and around Bozeman. Bozeman Cottage Vacation Rentals –Lovely houses in and around Bozeman. Yellowstone Guidelines – Guided tours and adventures in Yellowstone! Stacey’s Bar — Great food, live music! A real taste of Montana! Corral Bar & Motel— Western hospitality at it’s finest! Norris Hot Springs — Music, Camping and Private Parties. All Trips – Yellowstone’s Complete Online Guide for year-round lodging, attractions, activities, and events. Bozeman Vacations – Bozeman’s Online Guide for year-round lodging, attractions, activities, and events. 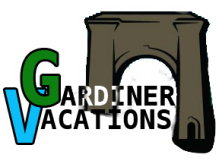 Gardiner Vacations – Gardiner’s Online Guide for year-round lodging, attractions, activities, and events.